It is well known that the mouth is the mirror of our body. Our oral conditions reflect our systemic health. Burning mouth is one such condition which can tell us about many systemic illnesses like Diabetes, Sjogren’s Syndrome, stress and acid reflux. Burning mouth syndrome is an oral condition where the patient experience a burning sensation on the tongue, lips, mucosa, and palate. Common causes of this condition are mouth infections, GERD, xerostomia, allergies, etc. Treatment options vary with the nature of the cause. Burning mouth syndrome (BMS) is known by other names like Glossodynia, or Scalded mouth syndrome. Its name is suggestive of the condition itself. Burning mouth syndrome is a rare condition, and the symptoms and causes vary largely from patient to patient. Consequentially, the treatment also depends on the cause. Based on the cause, Burning Mouth Syndrome can be classified as Primary or Secondary. Primary burning mouth syndrome is with the absence of any systemic or underlying condition. This means it is often idiopathic and cannot be associated with a particular cause. Often, people who develop mouth ulcers complain of dryness. This is because when there is an infection in the mouth, saliva secretion is hampered. Similarly, in fungal infections like candidiasis, burning mouth is a secondary problem. Dentures or other removable prostheses can also cause a burning sensation in the mouth. There may be sharp edges of the acrylic or increased friction which causes ulcers and burning mouth. Habits like bruxism, tongue thrusting, thumb sucking can also contribute to burning mouth syndrome. Putting anything in your mouth, even your thumb poses the risk of infection and could give you secondary BMS. Abrasive brushing is another habit that will burn your mouth. Women who have a hormonal imbalance in their menopausal age, also are likely to experience burning mouth syndrome. Deficiency of Vitamin B and minerals like iron and zinc are known to cause burning mouth syndrome. Having an imbalance in diet, and not having enough nutrient intake is responsible for this. Gastro-oesophageal Reflux Disease is a condition of the gastric system where there is acid reflux into the food pipe, upwards. In this condition the acidity makes you experience a burning sensation on your palate, tongue and other oral tissues. If you are allergic to a particular food, food flavor or additive, you will feel burning in your mouth when you consume these food items. The most common symptom of BMS is a burning sensation on the tongue. You will often find it painful or have a scalding feeling. It will feel like the lingering burning sensation you have when you sip on a piping hot beverage. The nature of the pain varies from person to person and depends on the condition. You may also have a burning sensation on your lips or at the corner of your mouth. Eating becomes difficult, and taste perception is affected. Some people may feel relief from drinking cold water. Rarely, a patient may also complain of numbness in the mouth. It may not be difficult for your dentist to diagnose a burning mouth based on your symptoms, history and clinical picture. However, it is tricky to ascertain the underlying condition linked to burning mouth syndrome. For this purpose, you may have to undergo specific investigations and tests. The blood picture can tell you about your body’s glucose level, thyroid level and if you have any deficiencies. An investigation of your saliva, for quantity, nature and infection will give your dentist a brief idea about where the problem lies. If your other complaints include acidity, difficulty in eating or retaining food, then your physician will advise you to get tests done for acid reflux, to rule out GERD. 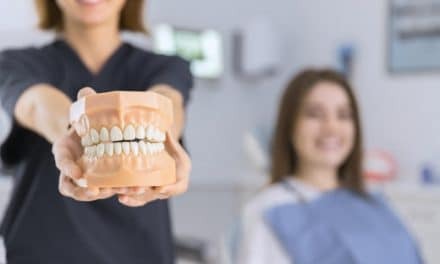 If your dentist suspects that the burning sensation is when you eat a particular type of food or its derivative, allergy tests will help them arrive at a diagnosis. 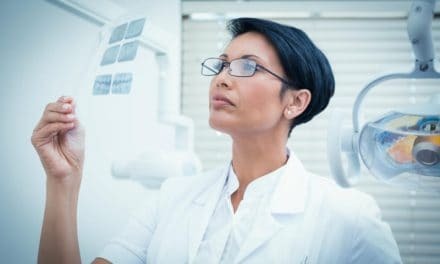 For a particular underlying systemic illness, your doctor will make you undergo some special investigations like an MRI or a CT Scan. These will give the clinician a clear picture of what is happening inside your body and how they can treat it. The treatment of burning mouth syndrome requires tackling the symptoms as well as the cause of the burning. Primary burning mouth syndrome is not due to any cause, so you can manage it by relieving your mouth of the burning sensation. Avoid eating spicy, acidic or highly flavored food. This will aggravate the burning sensation. Instead, eat a well-balanced diet which will give you enough nourishment and all the essential nutrients. Limit alcohol consumption and if you are a smoker, remember that tobacco will only worsen your condition. Mouthwash containing alcohol is not recommended either. Your overall lifestyle will reflect on your oral tissues. Exercise and stress-free living are important, especially if your BMS is because of psychological stress. Secondary burning mouth syndrome will settle down once you eliminate the cause. For acid reflux linked problems, antacids and a diet modification should help you treat the condition. If you have xerostomia lozenges, oral rinsing and sugar-free gum will be helpful. Patients with hormonal problems like Diabetes or Thyroid disorder need a more streamlined approach towards controlling their blood levels of the particular hormone. Once that is under control, slowly the associated problem of burning mouth can be taken care of. If you are a denture wearer and have a burning mouth, visit your dentist to check for any sharp points in the denture. It is also crucial that the dentist rules out any fungal infection, and ulceration. If you have a fungal problem, anti-fungal medicines will relieve you of the infection. At home, you can soothe your mouth from the burning by chewing on ice chips. This will keep the oral tissues moist and cold for a longer time. Drink cold liquids and avoid hot beverages. Throughout the day, sip on something cool and mild in flavor. Like the ice, this will also keep the mouth fresh. For a burning tongue, you can also apply aloe vera extract, which has excellent soothing properties. Place some cold yogurt over the area that is burning, and you will instantly feel better. Like we read earlier, watch your diet and ensure that you eat bland, non-spicy and less acidic food. Burning mouth is a frustrating condition to live with, even more, if you cannot ascertain the cause. It may take weeks to months for it to resolve, but the identification and treatment of the underlying cause, along with palliative care will soothe you of the discomfort. 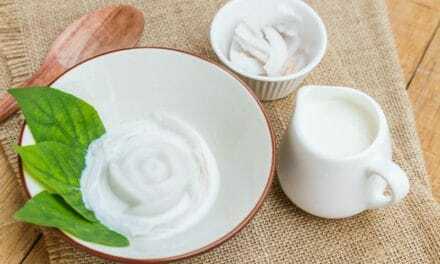 PreviousCauses of Bad Breath in Kids & How to Deal With Them?